Our company has established itself as a leading manufacturer and trader of superior quality VCB Panels. 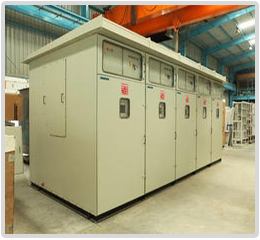 This equipment is extensively used for backup protection of power Transformers, motors, capacitor banks and power distribution systems. It is such kind of circuit breaker where the arc quenching takes place in vacuum. The operation of opening and closing of current carrying contacts and associated arc interruption take place in a vacuum chamber in the breaker which is called vacuum interrupter. The vacuum interrupter consists of a steel arc chamber in the centre symmetrically arranged ceramic insulators.